A356.2 aluminum alloy is widely used in the aerospace and automotive industries due to its superior casting ability, high specific strength, and corrosion resistance. Graphene is used in aluminum-based composites for its excellent mechanical properties and unique two-dimensional structure. In this paper, graphene and aluminum powder were mixed uniformly and then graphene-reinforced A356.2 aluminum matrix composites were prepared by atmospheric casting. Research results showed that the hardness change in the age hardening process tended to be faster and then slower. With the increase of graphene content, the peak-aging time of Gr/A356.2 aluminum matrix composites was shortened and the hardness value increased. The peak-hardness was 126HB when aged at 180 °C for 3 h. The addition of graphene improved the pitting resistance of A356.2 aluminum matrix composites in 3.5 wt% NaCl solution, mainly showing the positive shift of pitting potential and the decrease of corrosion current density. 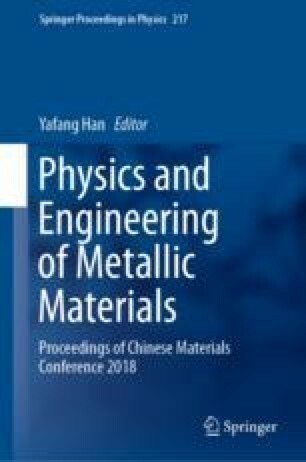 The composites under different aging conditions exhibited similar polarization characteristics, indicating the heat treatment not change the electrochemical corrosion behavior of the composites, while the pitting corrosion resistance under the underage condition was the best. The pitting potential was −0.735 V and the passivation region was the longest at 0.617 V. This was mainly because the second-phase precipitates increased with the aging time, subsequently, more interfaces between the second-phase precipitates and the aluminum alloy supplied the prior sites for pitting. The present work was supported by the Shandong Provincial Natural Science Foundation, China (ZR2018LE001).